Annually, 30th of May has been earmarked for Biafrans globally, to commemorate the sacrifices of their slain heros and heroines in their struggle for the unfettered restoration of the nation of Biafra. As that date rapidly approaches, it is expedient that Biafrans the world over, fully understand the historic record attached. It is a day of remembrance in which Biafrans within Biafraland observe "Sit-At-Home" and those in diaspora organise rallies/symposia in honor of the sacrifices of our fallen heroes and heroines who laid down their lives in defense of our land both in the 1960s and up till date. This they unreservedly contributed so that we the living, can wholesomely have our ancestral inheritance (land) fully restored. Premised on this invaluable contribution therefore, the leadership of the Indigenous People of Biafra (IPOB) worldwide, earmarked 30th of May annually, as a day for all Biafrans especially in Biafraland and wider Nigeria, to sit at home and exhaustively reflect on the supreme price our heros and heroines paid for the sake of our freedom and survival as a people. It could be recalled once again that the Nigerian government with the full support of Britain and other foreign allies, combined their forces to completely annihilate Biafrans from the surface of the earth between 1967 and 1970. It is expected for all Biafrans no matter their places of abode, to avail themselves of this opportunity which this year's heroes and heroines remembrance day offers, to make their contributions. We must make it exceptionally historic and eventful. In Biafraland, there is unanimous agreement and acceptability that there will be a total lock down of activities as Biafrans Sit-At-Home to observe the remembrance day, as a mark of honor and respect for the slain. 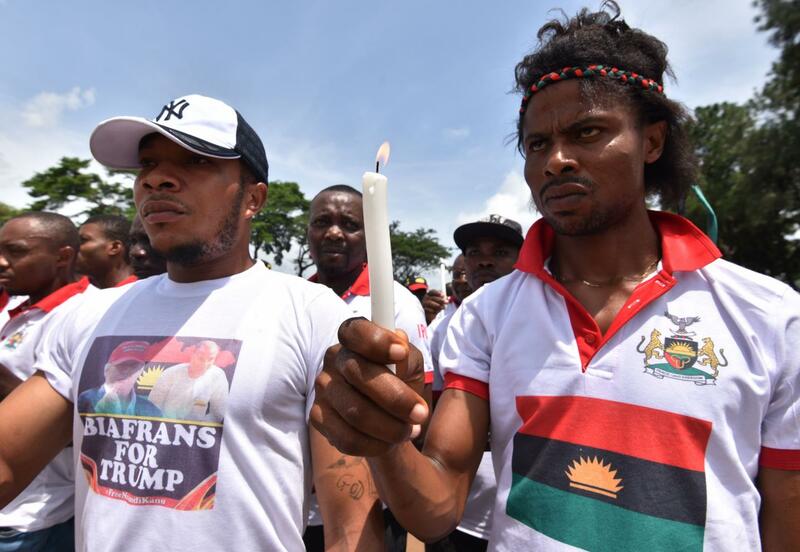 This was collaborated by the Press Release signed and published by the Media and Publicity Secretary of the IPOB, Comrade Emma Powerful recently. He stated that nothing short of total lockdown of activities within the Biafran territory and other parts of Nigeria where Biafrans are located, is expected. All are ordered to give this year's remembrance day a comprehensive compliance with a Sit-At-Home as ordered by the leadership of the IPOB. As Biafrans will be observing this Sit-At-Home come 30th of May 2018, opportunity to fully reflect on the sacrifices of our fathers for survival as a people will be presented, which will be a difficult program to undertake while at different marketplaces conducting our businesses. 30th of May, in Biafran history is what St. Patrick's day is to the people of the Republic of Ireland. All genuine Biafrans are expected to shelve all manner of activities in honor and respect, otherwise anything done in contrast becomes a desecration of the graves of the slain. Such offender(s) is adjudged to have committed sacrilege which is a taboo in Biafraland. The heroes and heroines remembrance day of 30th of May, with a Sit-At-Home order is a significant factor in the Biafra restoration effort. Many Biafrans may likely not get the full import of the world's assessment if this Biafra restoration is only Nnamdi Kanu's, as the Nigerian government has mischievously continued to disdain and ridicule the ongoing agitation. They would want to see if it is a collective yearning of the entire Biafran populace. As the leader of the Indigenous People of Biafra (IPOB) worldwide, Mazi Nnamdi Kanu is presently under the draconian captivity of the Nigerian army, let humanity take cognisance of the fact that Biafrans need the full restoration of their homeland with or without the physical presence of Mazi Nnamdi Kanu. The IPOB leadership is fully aware and without doubts that the Biafran people have already given their undivided compliance to this year's 30th May Heroes and Heroines Remembrance Day even before it was announced like in previous years. May the Almighty God use the anticipated remarkable successes of this year's 2018 heroes and heroines remembrance day Sit-At-Home, as yet another auspicious moment to fast track the Biafra restoration project, Iseeeeeeeeee (Amen) !